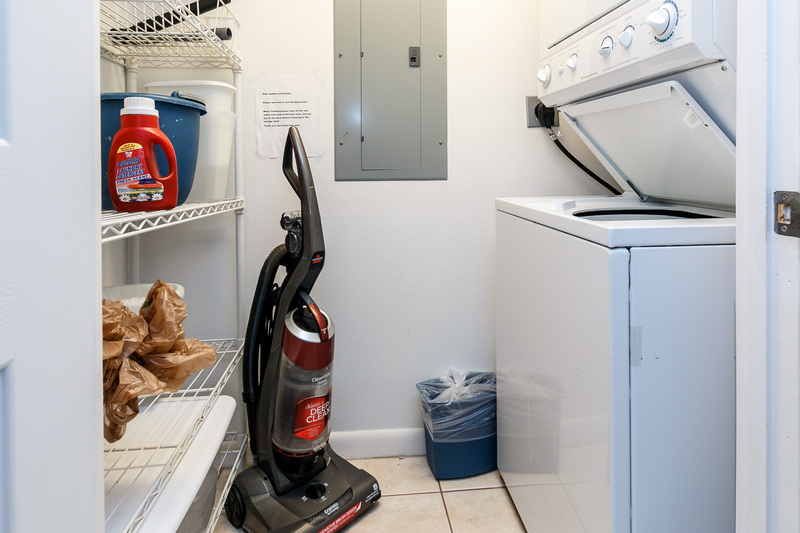 THIS UNIT HAS A SATURDAY TO SATURDAY REQUIREMENT DURING PEAK SEASON & NOW FEATURES KEYLESS ENTRY! 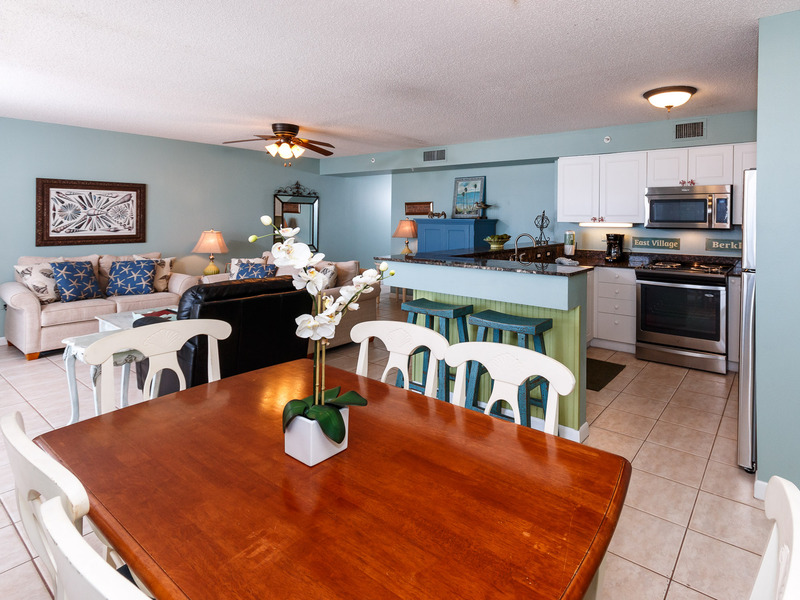 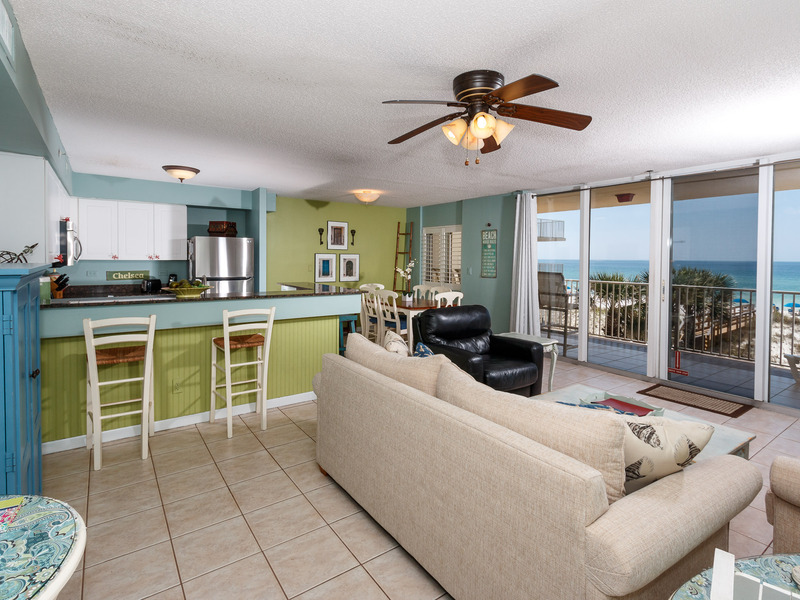 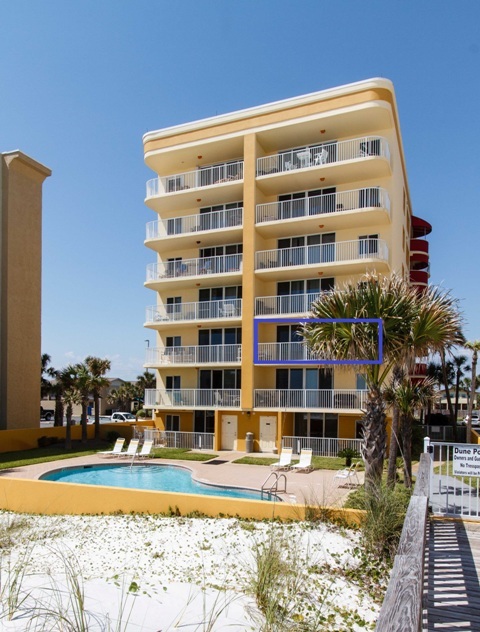 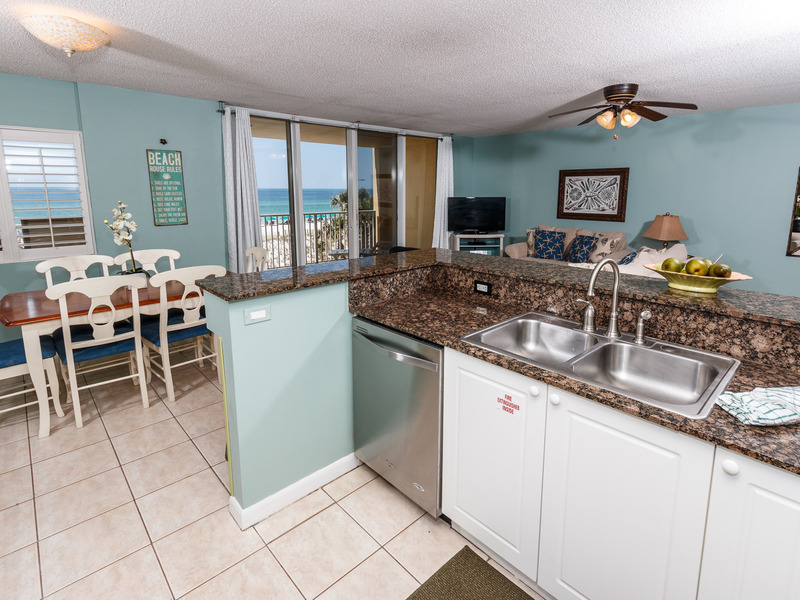 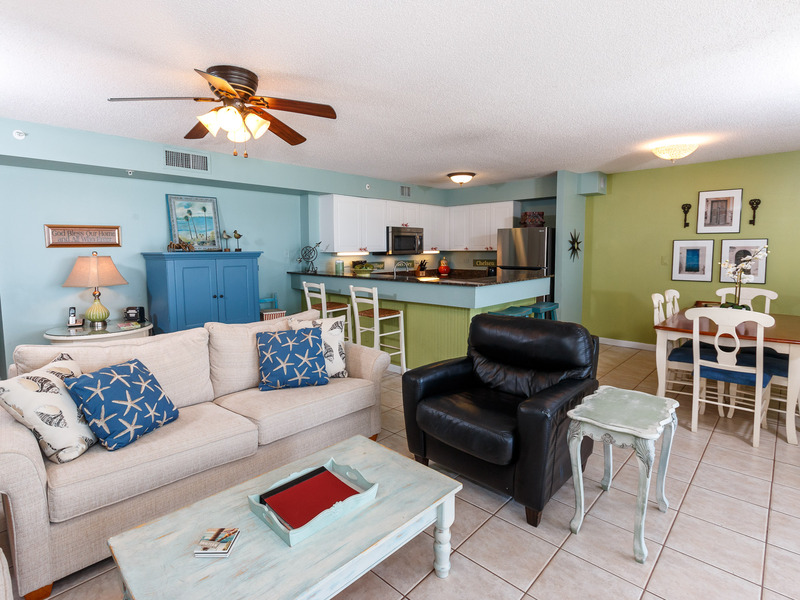 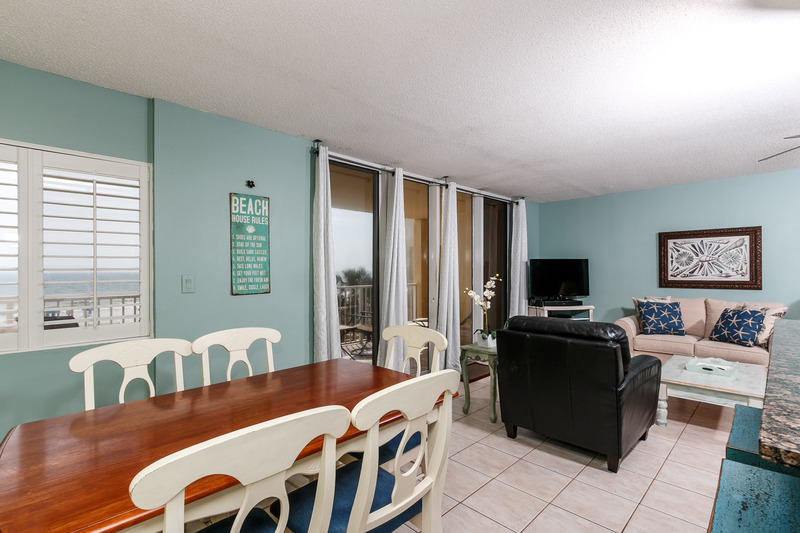 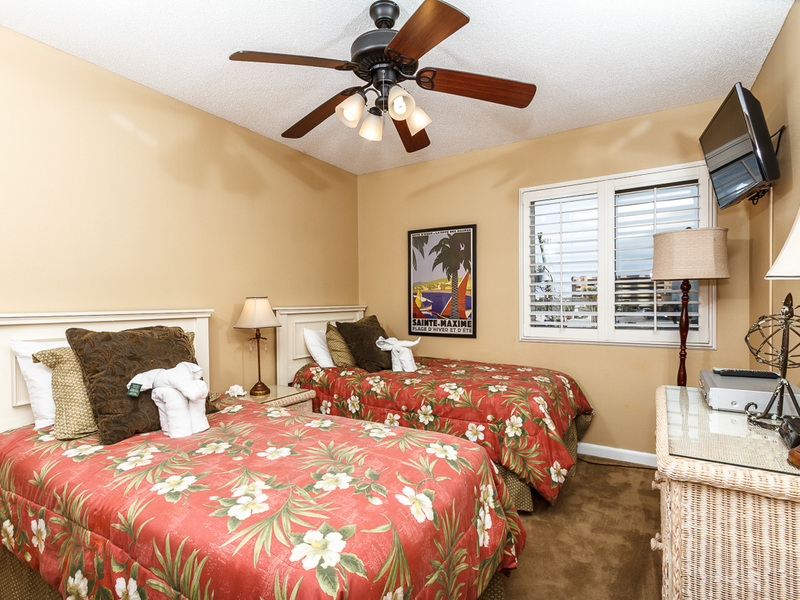 This 3rd floor unit is beach front AND JUST CUTE AS A BUTTON! 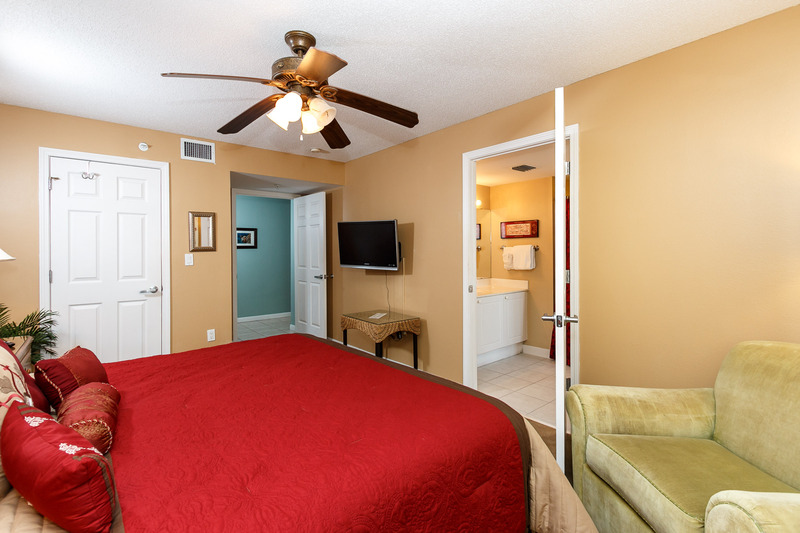 Great color scheme, AMAZING DECOR, FRESH PAINT, ALL NEW BEDDING, ALL NEW HEADBOARDS, NEW QUEEN MATTRESS IN THE GUEST BEDROOM, NEW BALCONY FURNITURE, NEW LIVING ROOM FURNITURE, NEW STOVE,DISHWASHER AND REFRIGERATOR WITH ICE MAKER, overall VERY comfortable and BEAUTIFUL! 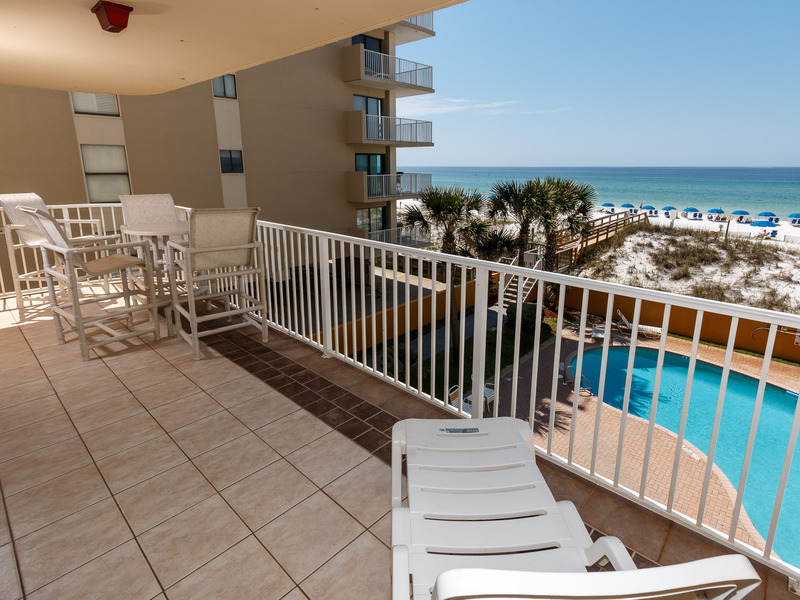 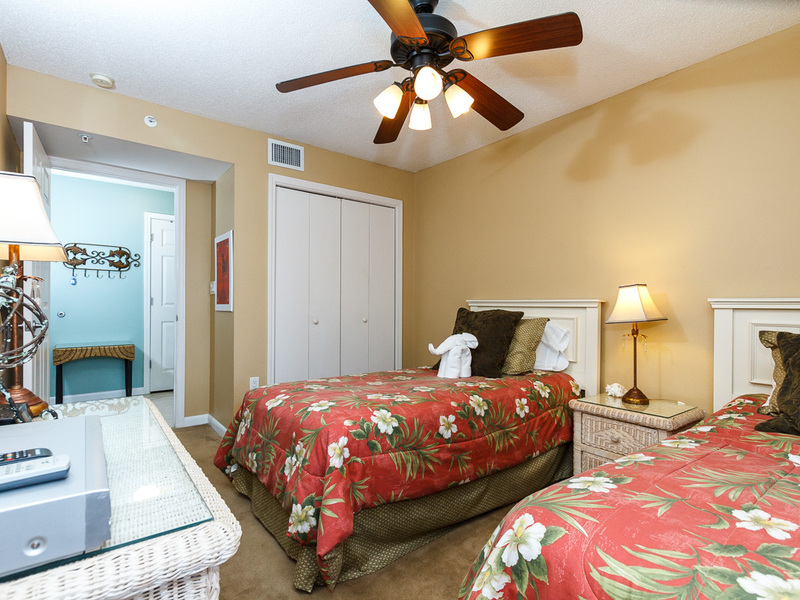 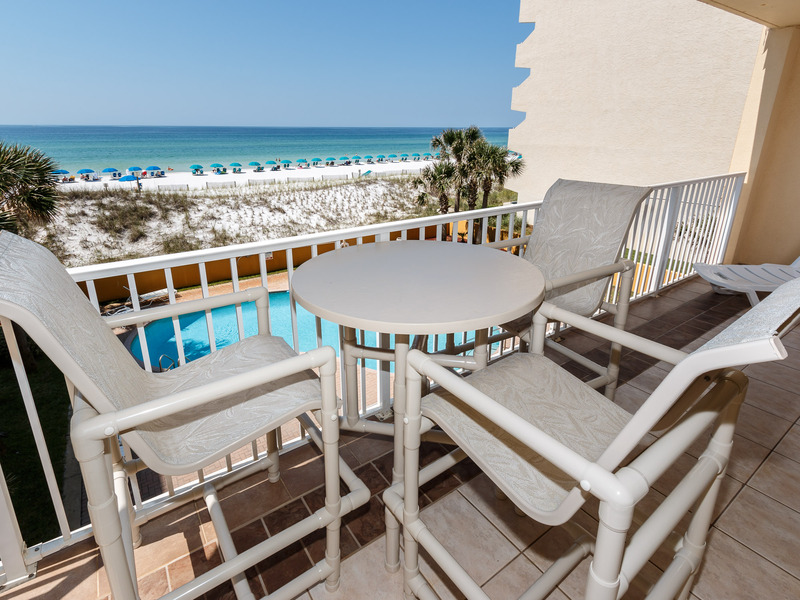 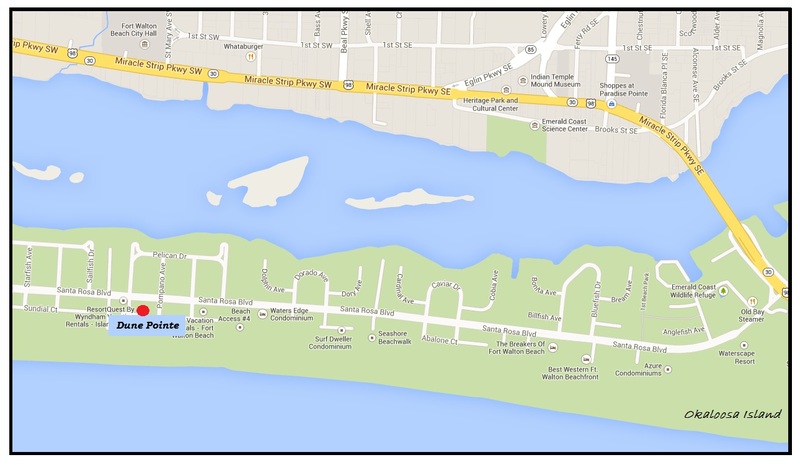 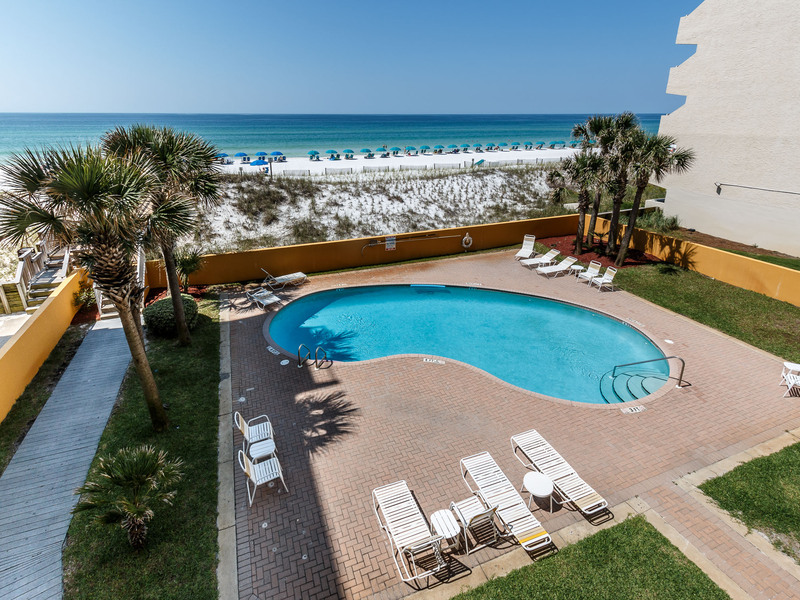 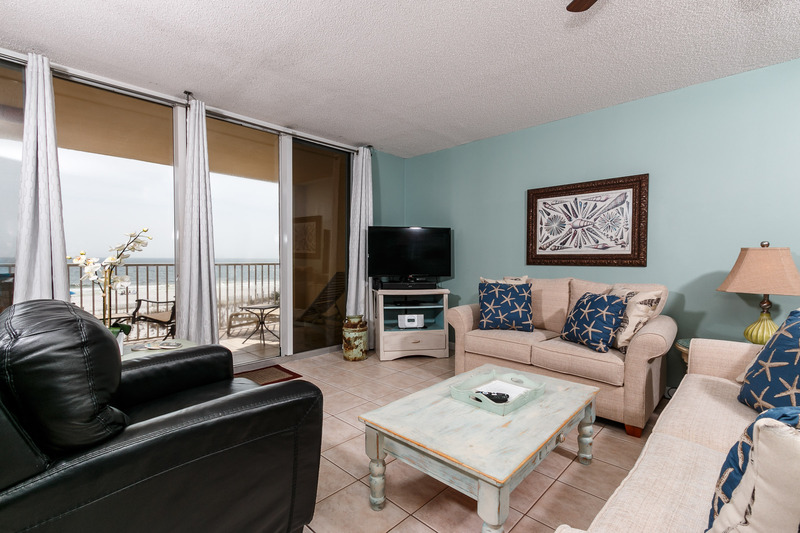 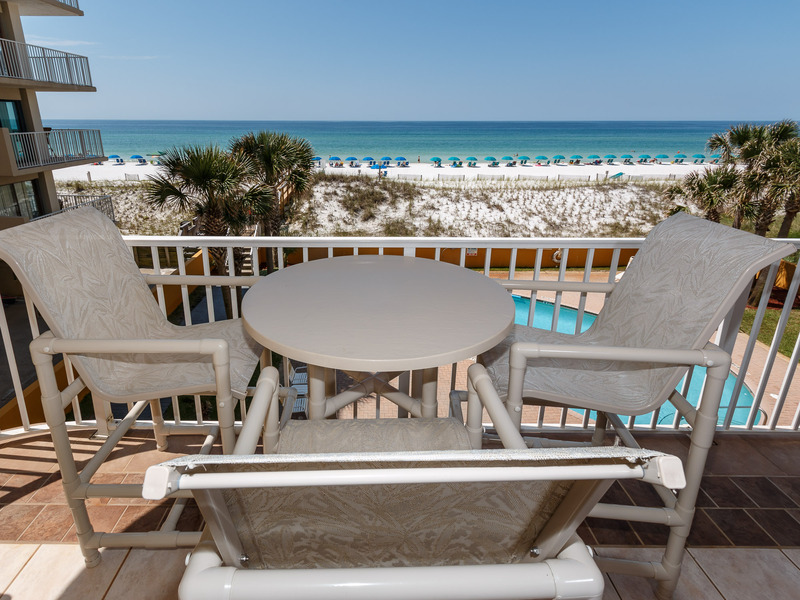 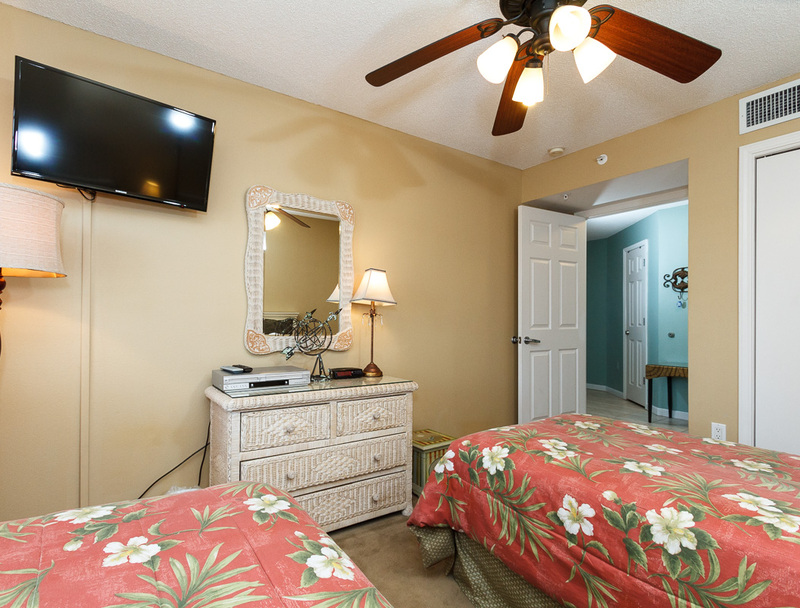 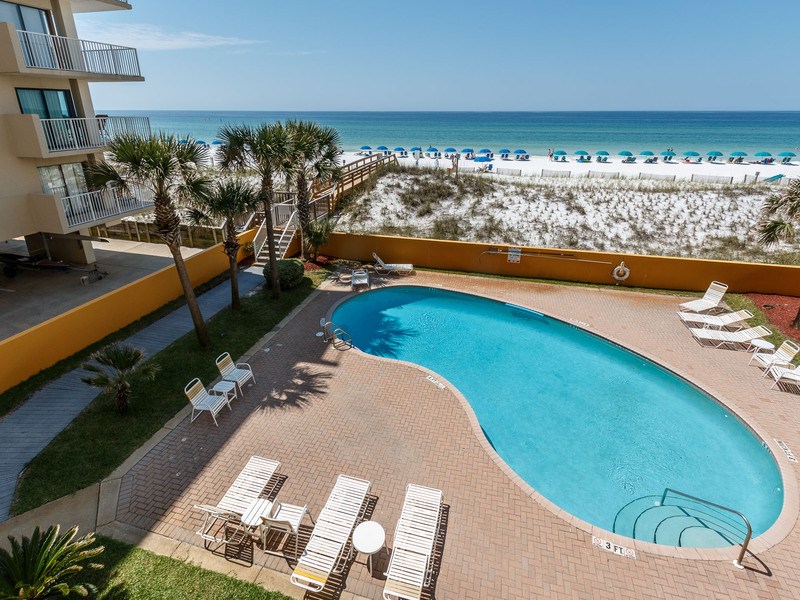 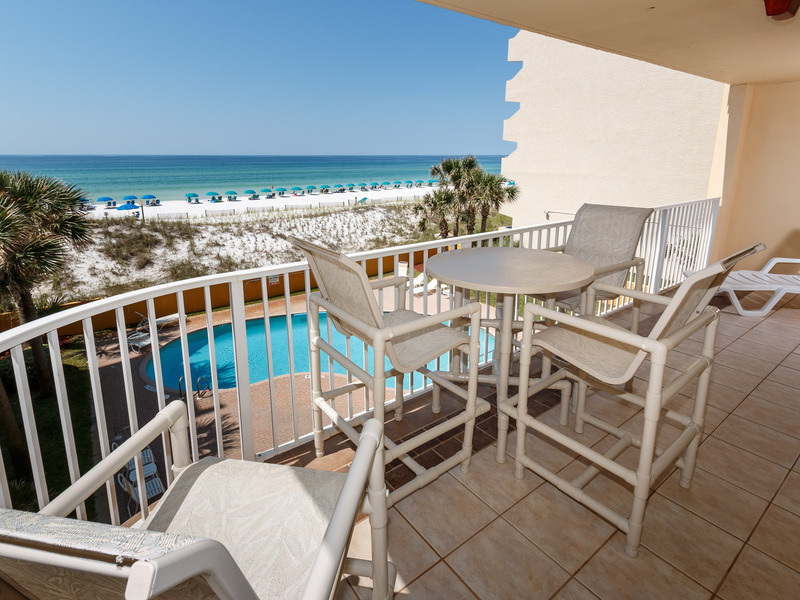 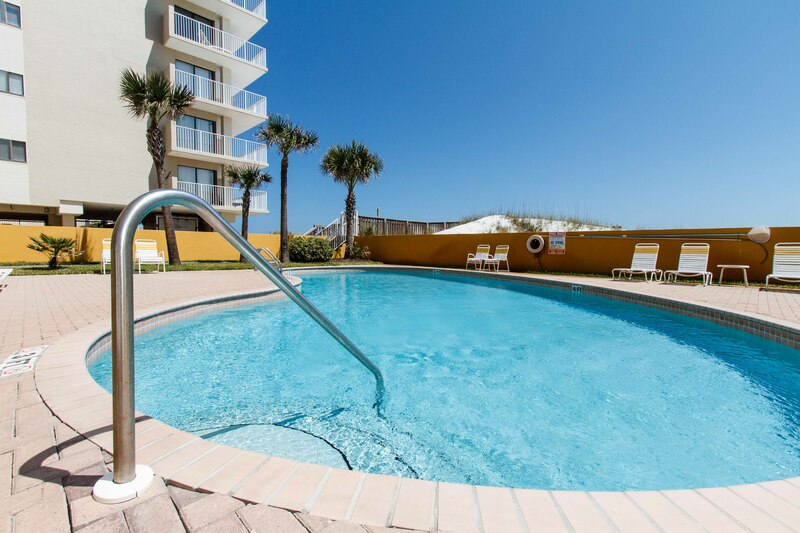 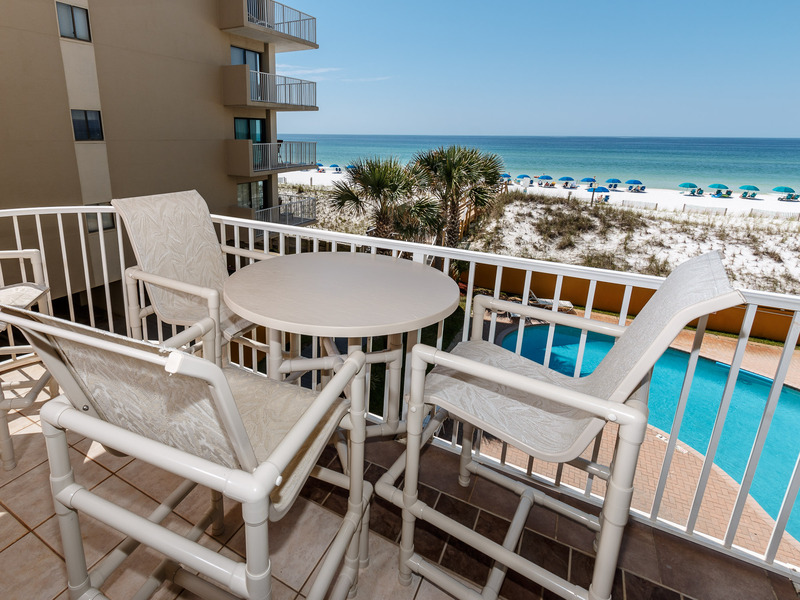 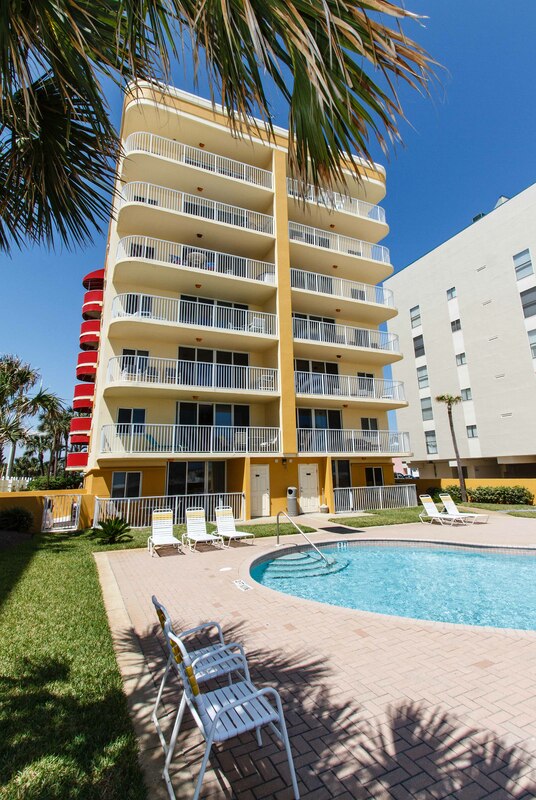 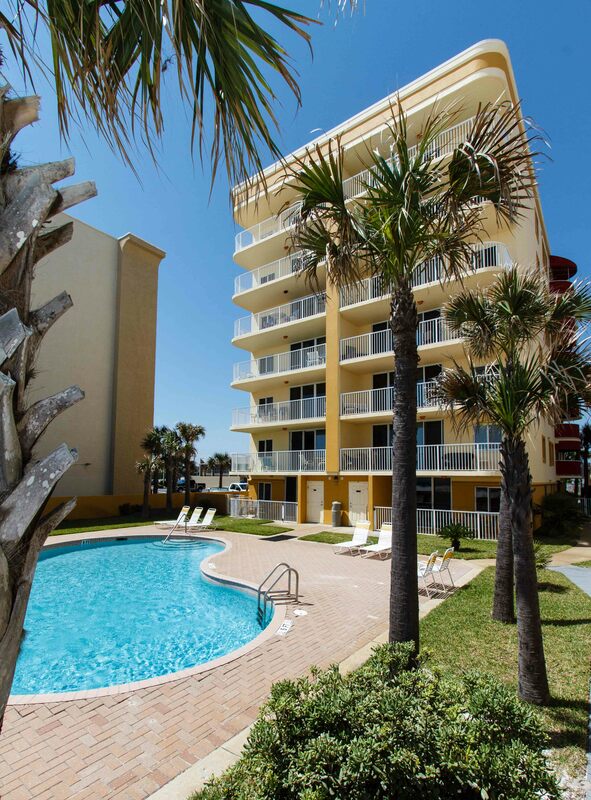 Offering amazing views of the gorgeous Gulf of Mexico and the white sandy beaches. 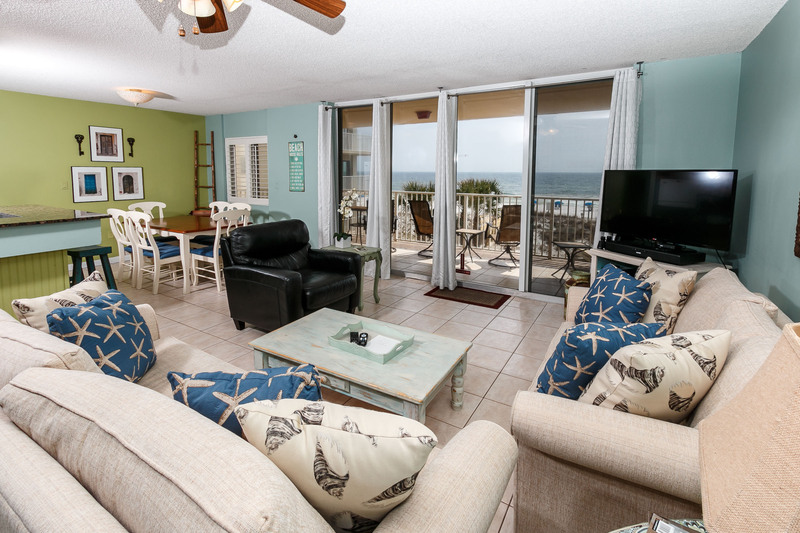 The beach front balcony runs along the living and dining areas. 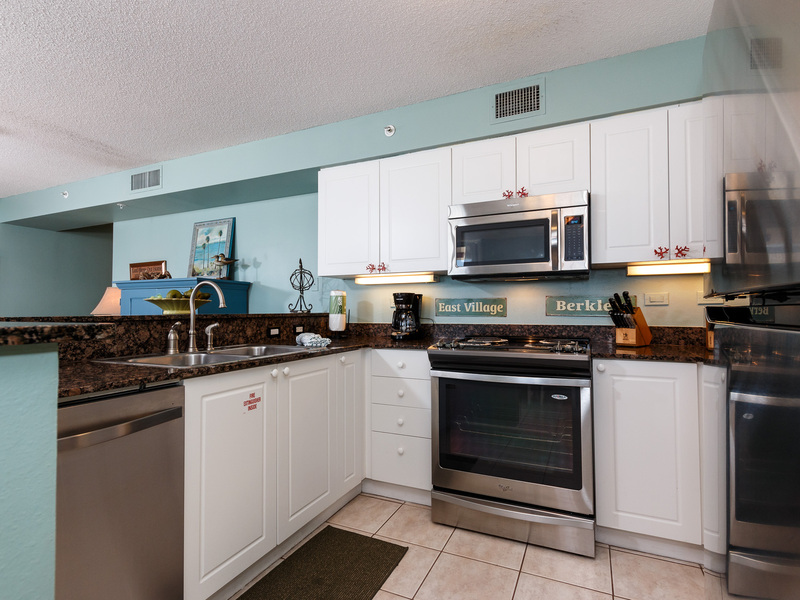 Great views from the kitchen as well, which is equipped with all major appliances, utensils, cookware, features granite countertops and it decorated to the T. The guest bedroom now features a FLAT SCREEN TV, the master bedroom has a new mattress and the living room has a new sound bar. 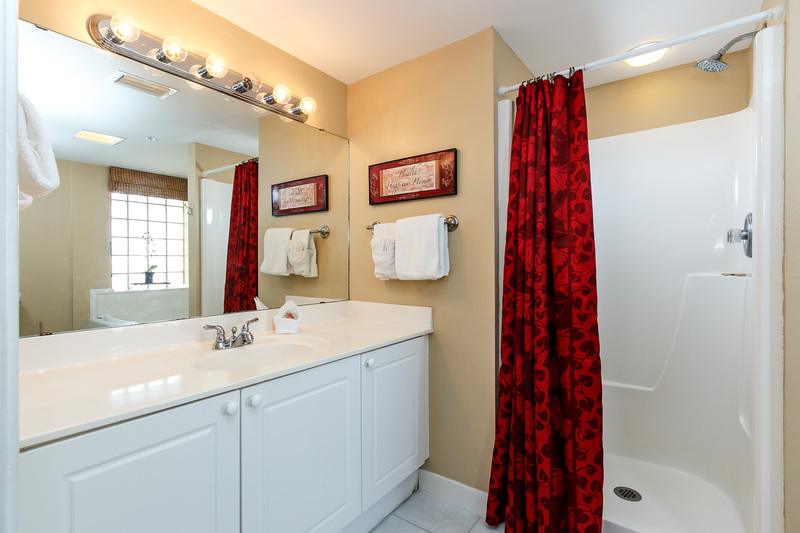 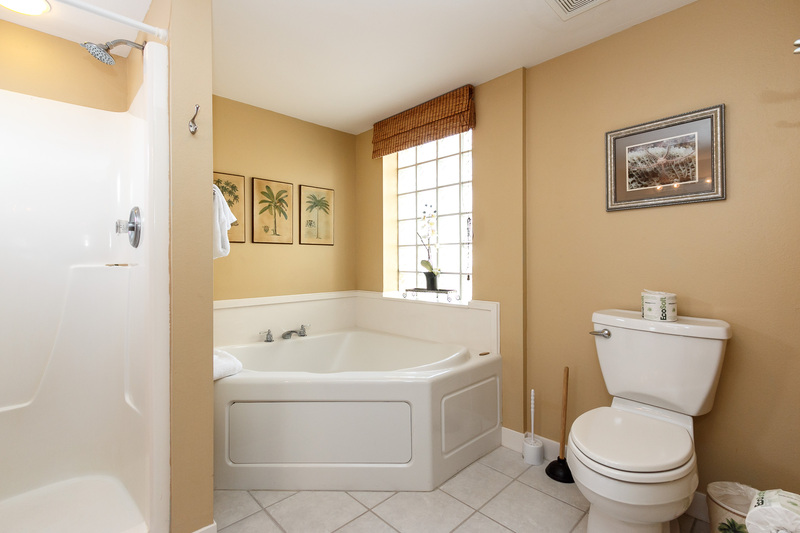 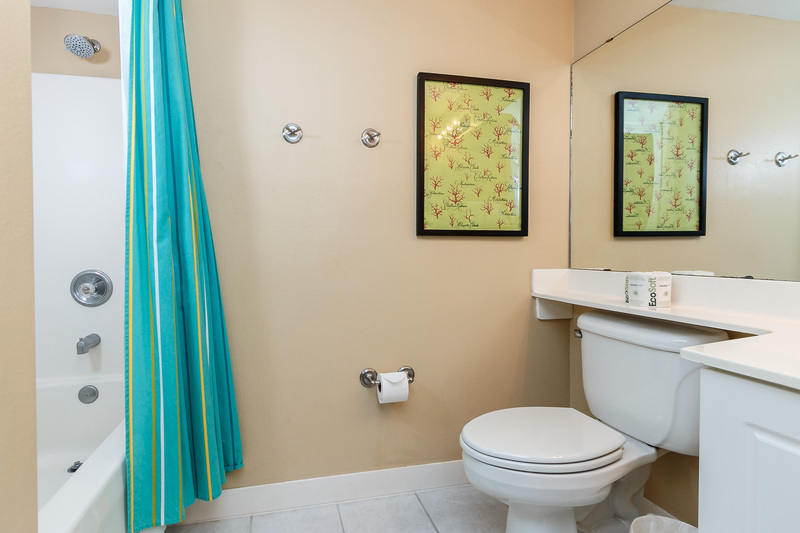 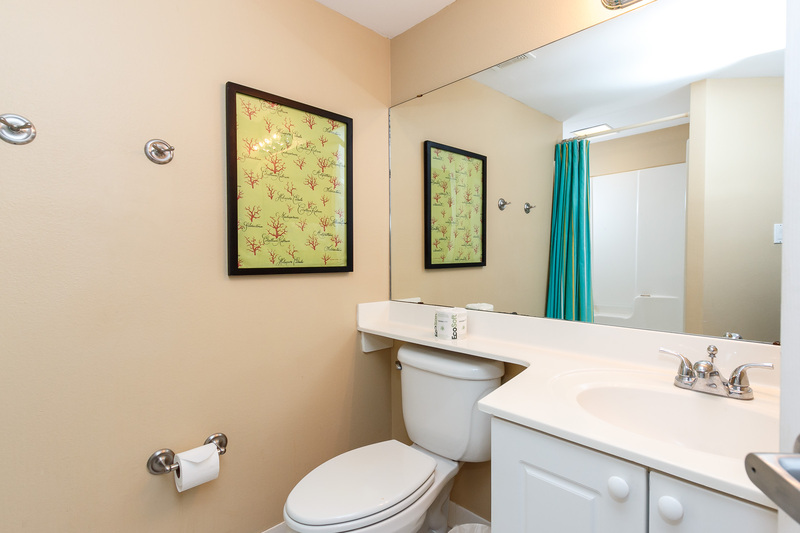 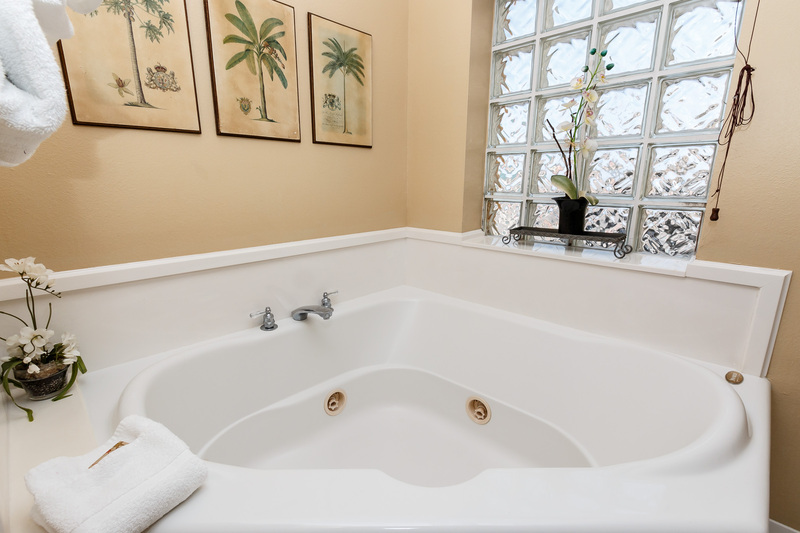 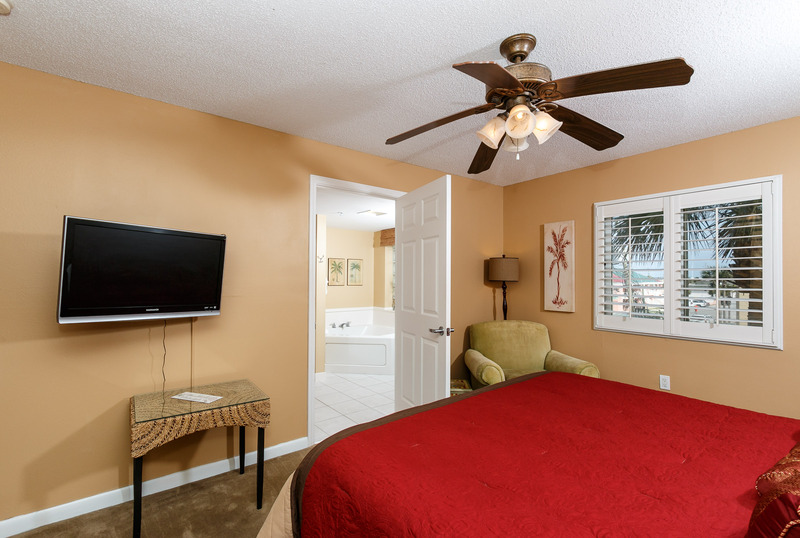 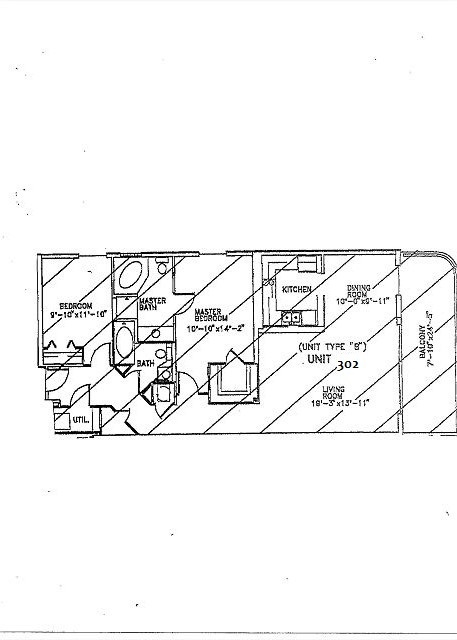 The bedrooms are a nice size and the master bath has a great whirlpool tub!The condo will sleep up to 6 guests - the living room sofa pulls out to be a queen size sleeper. 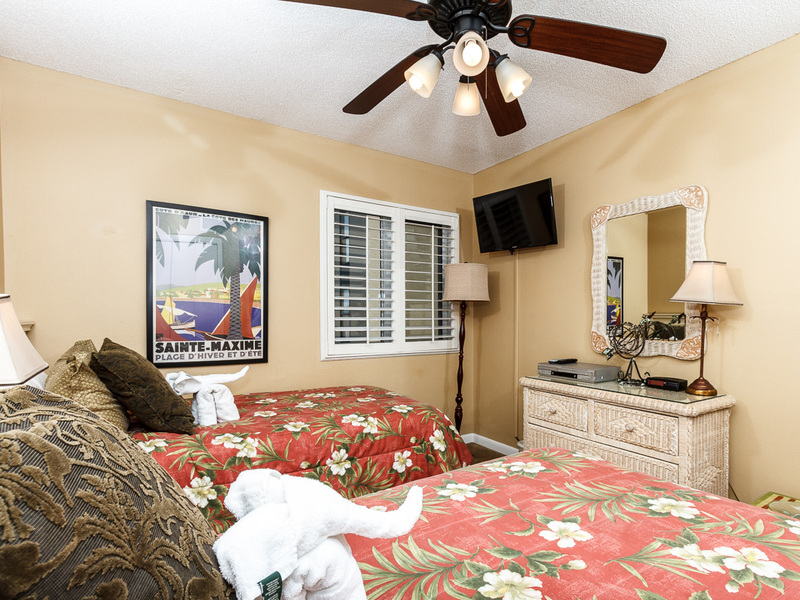 Master bedroom features a KING size bed, the second bedroom has a new queen size bed added in March 2016 and a twin size bed as well. 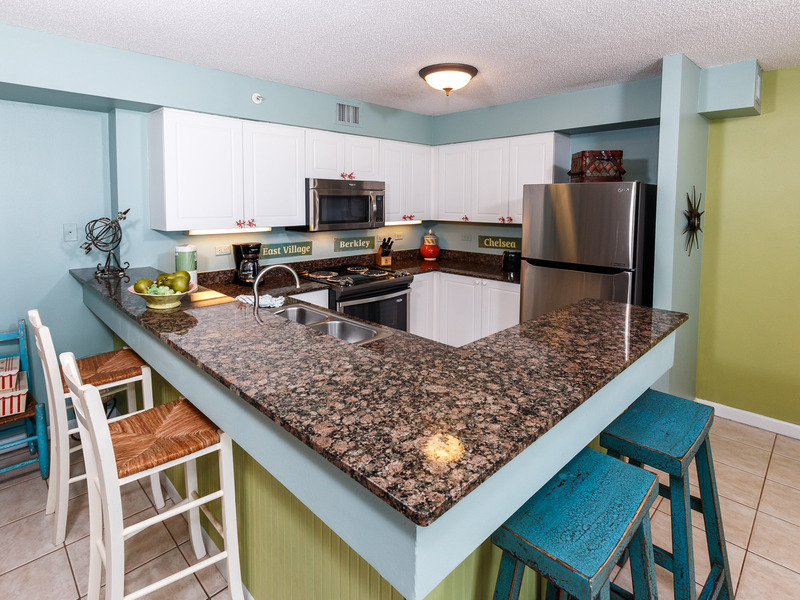 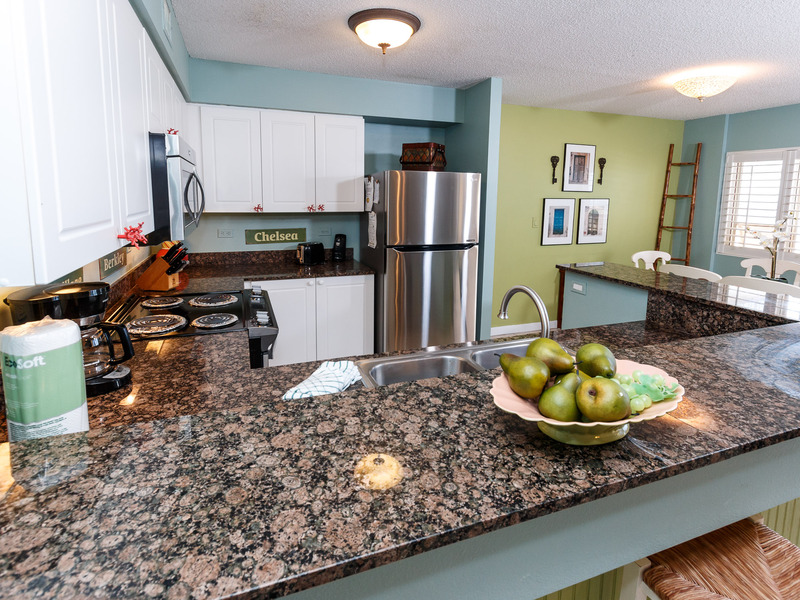 This condo also offers FREE SECURED WIFI and FREE LONG DISTANCE CALLS TO USA AND CANADA! 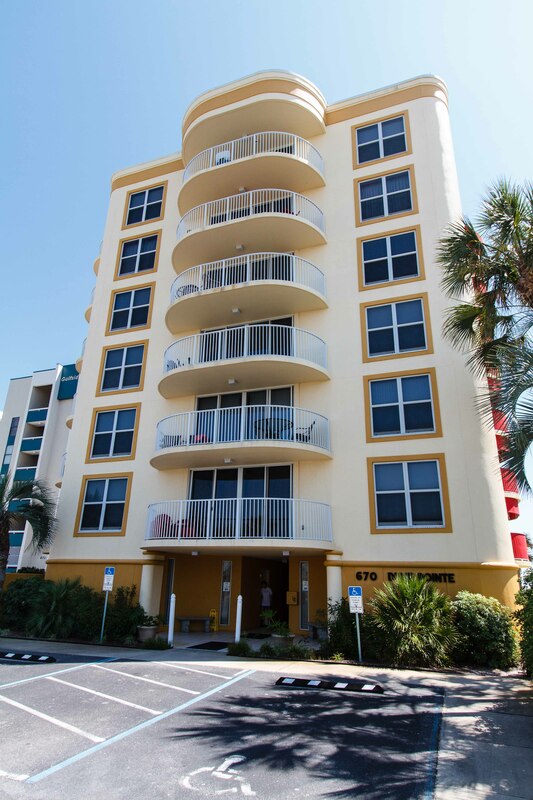 Dune Pointe is one of the smaller buildings on the island, only 3 units to each floor. 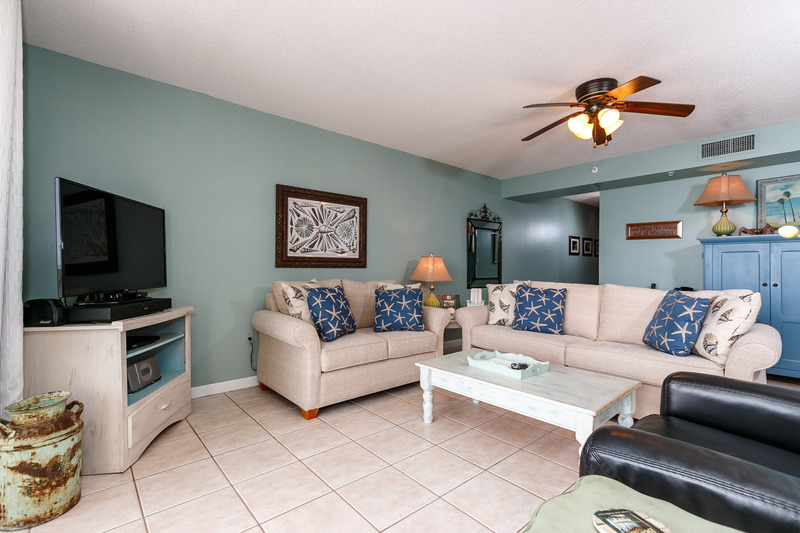 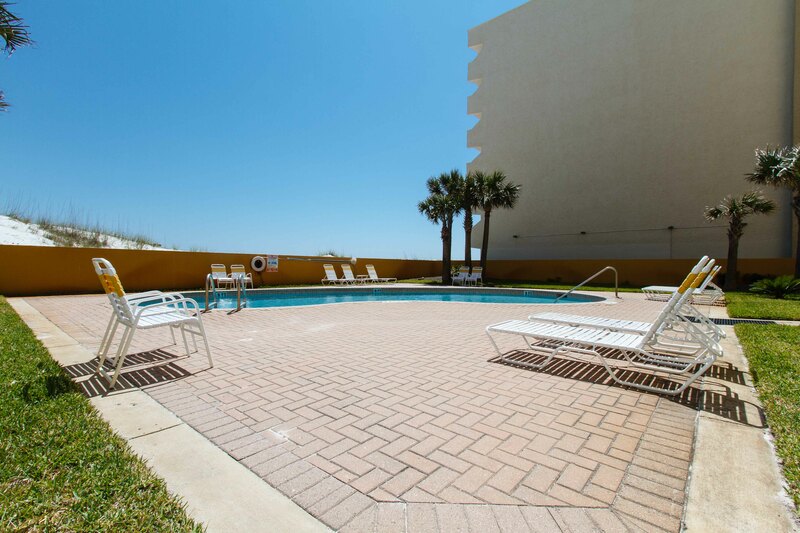 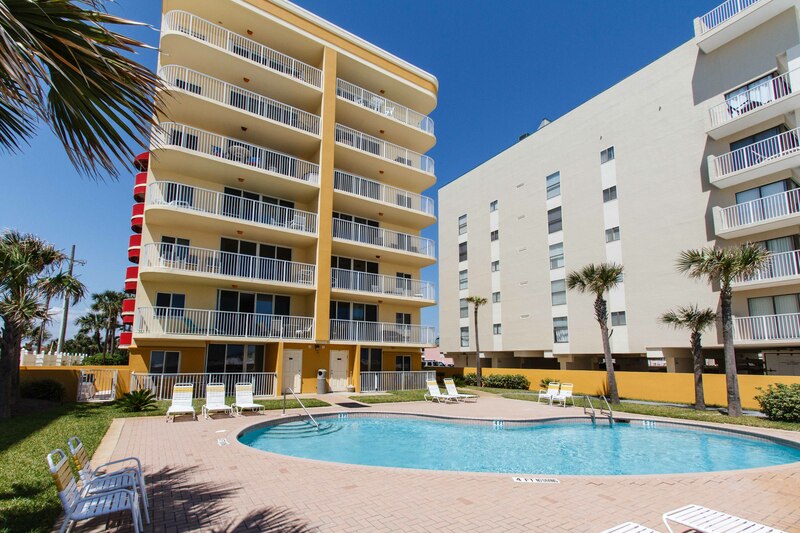 There is a great size beach front pool and plenty of seating around the pool for everyone.